also theres a clan chat called "tftv cc", join up! now that I'm winter break id be down to make a bossing squad if anyone else is interested. I know sal would be, we've talked about it many times. anyone else good enough to to do GWD? 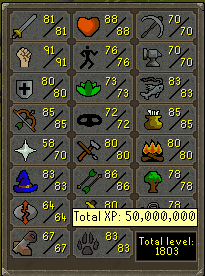 Been grinding out 2000 total since I'm away from my main PC a lot more and this runs on my potato laptop. Got 75 RC and mining this week alone. Why does nobody ever use tftv cc anymore? I'm there pretty often and I've seen hbc like 3 times and that's it. 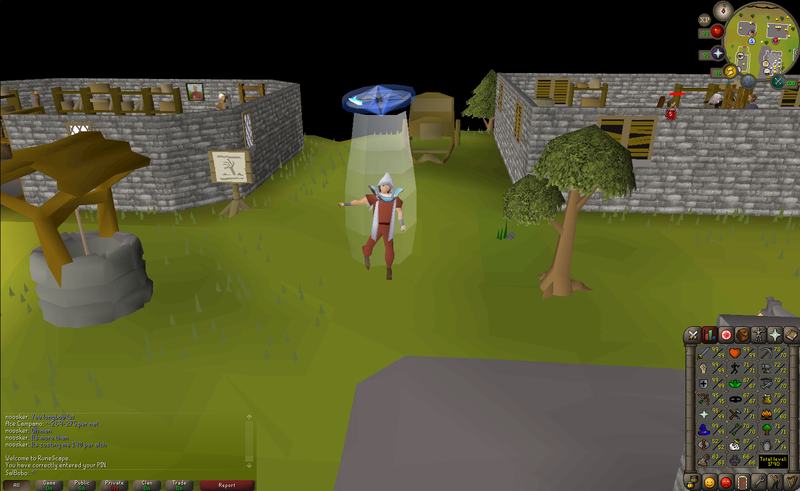 just got my quest cape. Not much progress from my last update. I just sunk my bank into zulrah teles till i could buy everything i needed gear wise. Been playing more lately so let's populate "Tftv Cc" so we can boss a bit. Saw that people had started posting in here again so I naturally had to start playing again. 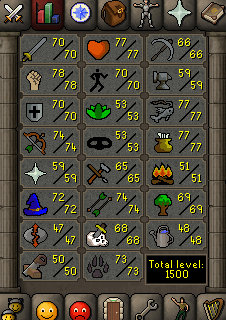 Mostly been on that slayer grind, down to boss if anyone's interested. I play this game too much lol. 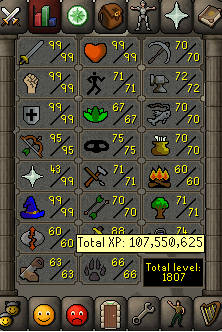 Trying to aim for 2000 total. Also "tftv cc" tf2 clan chat group dont forget to pass by! Damn both of your accounts are progressing really well. Got myself a fire cape, barrows gloves, slayer helm (i) now so that's my progress really. i am playing seasonal deadman. Name is phobes, add me if you want! Haven't really been playing my main much these days, still 114 combat on it. Got bored and really only plan to use it for making money through bossing in order to fund the pure I'm creating. Add if you'd like anyway: "g e c k s"
Multiple streamers are going to stream it. www.twitch.tv/runescape for the official cast of it. feel free to add me "Magicks"
Pretty dead, a few people will be on every now and then. Most I've seen is 4. I've moved to the "Letterjay" cc because I didn't see anyone in tftv cc other than sowrowman for a solid week. Feel free to add me. Mostly on Fwosty_ult atm, but am sometimes on Fwostymage. If you guys want to make a tftv osrs discord for better organization so we actually know when people will be in the tftv cc, I'd be down.